A museum in Milwaukee, Wisconsin, holds a huge collection of bobbleheads—featuring rows of constantly nodding figures of athletes, mascots, celebrities, animals, cartoon characters, politicians, and more. And when the folks at Guinness Book of World Records finish counting, it may officially be the world’s largest. 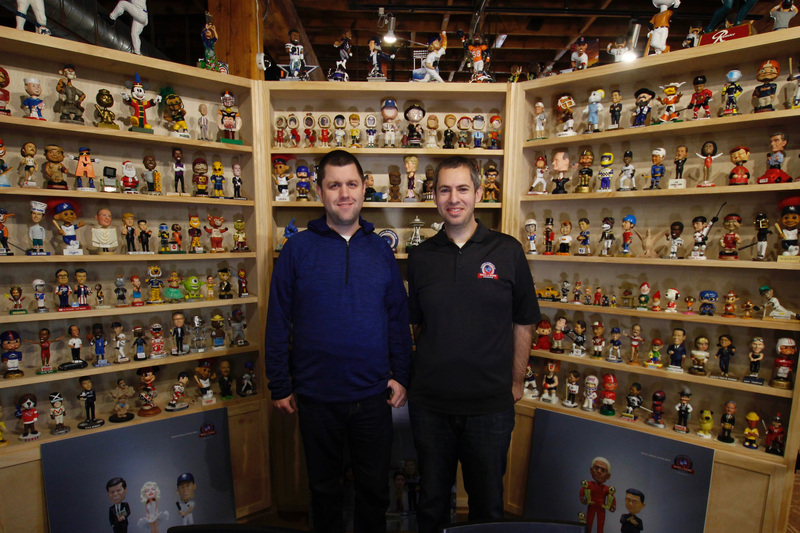 Sklar and Novak have collected more than 10,000 bobbleheads—including a life-size bobblehead, bobbleheads of characters from The Wizard of Oz and the Star Wars franchise, and the first football and baseball bobbleheads from the early 1960s. They even have one of Donald Trump from the TV show The Apprentice that says "You're fired" at the push of a button. About 6,500 will be on display at a time. Some will rotate as part of special exhibits—for example, if a certain sports team is in town. The bobblehead museum isn’t just about bobbing heads. The enterprise includes history (did you know bobbleheads are documented as far back as the 1760’s?) and good ol’ commerce (create your own bobblehead). Yea, I have to agree Katrina, that is unique! That's a lot of bobbleheads!!! Sorry! I'm having typing problems!!! How many bobblehead people can you recognize in the picture? I found Tom Brady, Von Miller, and Ezekiel Elliott all on the top shelves.